Prepare for Tomorrows today.Read over tomorrow’s math lesson today. Get a general idea about the new formulas in advance.As you read ahead, you will recognize some of it, and other parts will be brand new.This technique also gives you an overview of the diagrams, graphs and vocabulary in the new section. Look up any new words in a dictionary so you reduce this stumbling block in class. This step may only take 15 minutes or so before each class, but will make a huge difference to your understanding of the math you are studying. All of us find it very difficult to learn meaningless lists of words, letters or numbers. Our brain cannot see the connections between the words and so they are quickly forgotten. Don’t just try to learn formulas by themselves — it’s just like learning that meaningless list.When you need to learn formulas, also learn the conditions for each formula (it might be something like “if x > 0?). Also draw a relevant diagram or graph each time you write the formula (it might be a parabola, or perhaps a circle). You will begin to associate the picture with the formula and then later when you need to recall that formula, the associated image will help you to remember it (and its meaning, and its conditions).When you create your summary list of formulas, include conditions and relevant pictures, graphs and diagrams. 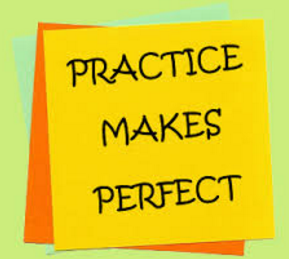 Practice makes an student Perfect. As in other subjects,it is important for maths formula also.Repetition is a very important aspect of learning. If you practice a new skill, the connections between neurons in your brain are strengthened. But if you don’t practice, then the weak bonds are broken.If you try to learn formulas without doing the practice first, then you are just making it more difficult for yourself. 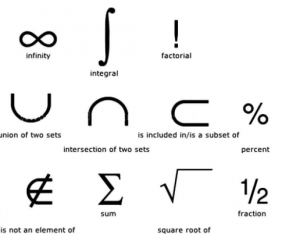 Most math formulas involve some Greek letters, or perhaps some strange symbols like ^ or perhaps a letter with a bar over the top.When we learn a foreign language, it’s good to keep a list of the new vocabulary as we come across it. As it gets more complicated, we can go back to the list to remind us of the words we learned recently but are hazy about. 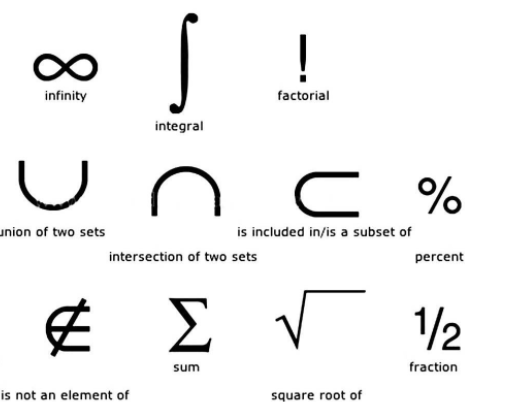 Learning mathematics symbols should be like this, too. Keep a list of symbols and paste them up somewhere in your room, so that you can update it easily and can refer to it when needed. Process and learn each maths formula by hearing it and speaking it. Most people are capable of learning lists of unrelated numbers or words, as long as they use the right techniques. Such techniques can be applied to the learning of formulas as well.One of these techniques is to create a story around the thing you need to learn. The crazier the story, the better it is because it is easier to remember. If the story is set in some striking physical location, it also helps to remember it later. In many examinations, they give you a math formula sheet so why do you still need to learn formulas? As mentioned earlier, if students don’t know what they are doing, they will choose a formula randomly, plug in the values and hope for the best. This usually has bad outcomes and zero marks. Don’t under-estimate the importance of sleep when it comes to remembering things. Deep sleep is a phase during the night where we process what we thought about during the day and this is when more permanent memories are laid down. .Avoid cramming your math formulas the night before an exam until late. Have a plan for what you are going to learn and spread it out so that it is not overwhelming. A good brain resides in healthy body. The healthier you are, the less you need to worry about sickness distracting from your learning. Spend time exercising and getting the oxygen flowing in your brain. This is essential for learning. There are just so many things that distract us from learning what we need to learn.Turn off all those distractions for a set time each day. You won’t die without them. Concentrate on the formulas you need to learn and use all the above techniques. Stick to the schedule for learning .When you are done, reward yourself with some media time — but only after you have really accomplished something.